I talked about Shipachev briefly in the first segment and his chemistry with Russian sniper Artemi Panarin, but there’s a lot more to his game beyond that. The 29-year old has played his entire career in Russia, playing 9 years in the KHL (5 with Cherepovets Severstal) and the last 4 with the star-studded St. Petersburg SKA, including tallying 114 points in 103 games over his last 2 seasons. Shipachyev has been one of the best players on his team the last few seasons, and it’s a group that features the likes of former NHL stars Ilya Kovalchuk and Pavel Datsyuk among many other solid Russian players. A late-bloomer for Russia hockey, he has carried over his success from the KHL to international hockey playing in the last 3 World Hockey Championships. He helped Russia win Gold in 2014 (7 points in 7 games) and then Silver in 2015 (9 points in 10 games). However, it was this summer where he really came alive with 6 goals and 18 points in 10 games to lead the tournament (Russia won Bronze). The line of Shipachev, Artemi Panarin and Evgeny Dadonov combined for 18 goals and 46 points in 10 games in the tournament to finish 1-2-3 in points respectively. It will be interesting to see if Russia keeps this trio together for the World Cup, but look for Shipachev to be an impact player offensively for them. If you didn’t know who Shipachev was before this tournament, you will now. There’s no question that the prospect pool in Finland is extremely deep and full of players ready to burst onto the scene, and guys like Patrik Laine and Jesse Puljujarvi are the two everyone is raving about. But not to be forgotten in the Laine/Puljujarvi hype is the 19-year old center Sebastian Aho, a 2nd-round pick of the Carolina Hurricanes in 2015 and someone who is pushing for a full-time roster spot in the NHL this season. The young center has been playing in the Finnish Elite league since he was 17 years old, and has shown he can compete with the pros leading his team Karpat with 20 goals and 45 points in 45 games this season (and another 15 points in 14 playoff games). 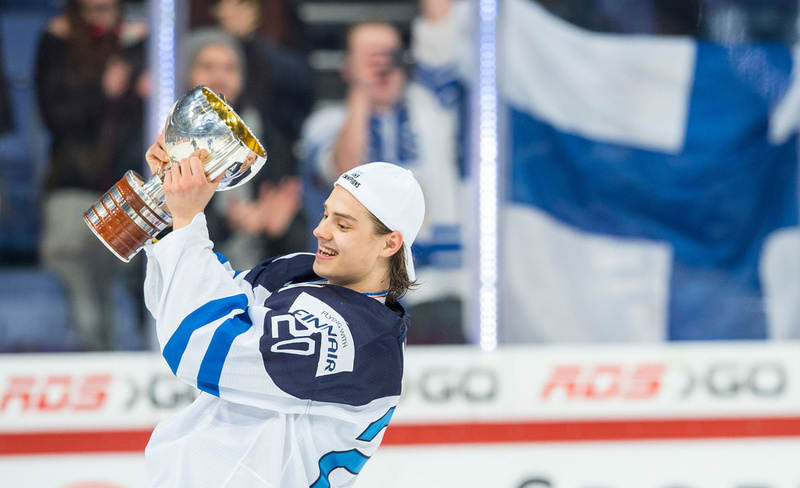 He also helped lead Finland to Gold at the World Junior Championship (5 goals and 14 points in 7 games), centering the top line in the tournament with Laine and Puljujarvi. Like Laine, he was named to the World Championship team as a teenager and had 7 points in 10 games to help Finland win Silver. It’s going to be really interesting to see what role Aho has with Team Finland, but this guy is going to be an impact player for years to come for them and for the Hurricanes. Teemu Selanne seems to think so too (http://www2.tsn.ca/bardown/Story.aspx?Teemu%2bSelanne). I talked about the stacked defensive unit for Team Sweden in part 1, and everyone knows how good the big name guys like Erik Karlsson, Victor Hedman and Oliver Ekman-Larsson can be. Even the other 3 defensemen on the team in Anton Stralman, Niklas Hjalmarsson and Hampus Lindholm all are all established blueliners and leaders on their respective teams. Not as much is known about the 26-year old Ekholm, and upon his selection many Swedish hockey fans wanted John Klingberg on the team instead. However, Ekholm has really burst onto the scene the last few years and has turned into a fantastic two-way defenseman. 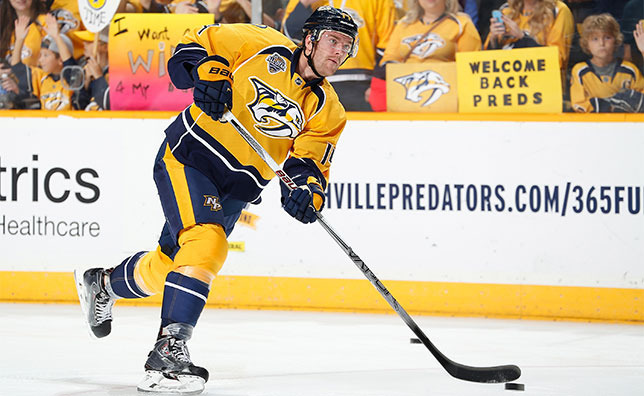 He has played 3 full seasons with the Predators, getting better each year including a career-high 8 goals and 35 points while playing top 4 minutes this past season. Part of the reason GM David Poile was so quick to pull the trigger on both the Seth Jones and Shea Weber trades was the quick development of Ekholm, someone who has formed great chemistry with Canadian Ryan Ellis. Ekholm will be a big part of the Predators core going forward, and it will be interesting to see his use in this tournament for Sweden considering the amount of firepower they already have. He certainly belongs to be playing in this tournament, and he might turn some heads with his play if he gets his opportunity. I’ve been raving about this guy for almost a year now, and Blues fans will understand the excitement a prospect like Colton Parayko brings to the table. Parayko joins Aaron Ekblad, Morgan Rielly, Shayne Gostisbehere, Jacob Trouba, Seth Jones and Ryan Murray in a talented group of young defenseman on Team North America, and his role certainly remains to be in question. Whatever his role is, it’ll be hard to miss the towering 6’6 226-pound defenseman who isn’t afraid use his massive frame against the biggest players in the league. Hard to imagine that 85 players were taken ahead of Parayko in the 2012 NHL draft (including fellow North America D Ryan Murray, Morgan Rielly, Jacob Trouba and Shayne Gostisbehere), where the Blues took him 3rd round 86th overall. The 23-year old surprised many making the Blues out of training camp this past season, but he didn’t disappoint putting up 9 goals and 33 points in 79 games and another 7 in 20 playoff games. Parayko has a booming slapshot from the point and is going to have a very long NHL career, it will be interesting to see what impact he has in this tournament. It’s worth a watch to pay attention whenever the big Blues defenseman is on the ice. It’s pretty much impossible to call any player on Team Canada “unknown”, with all their recent success in international hockey it’s expected that they field the best group of players in the tournament every time. However, with that being said that doesn’t mean there aren’t underrated players on the team and someone who fits that criteria perfectly is San Jose Sharks defenseman Marc-Edouard Vlasic. The 29-year old has been a staple of the Sharks blueline the past 10 seasons, a player who plays a simple but responsible game. While not particularly offensive (226 points in 737 games, no more than 39 points in a season), Vlasic is an excellent puck-mover and a smart defensive player that plays against the top lines in the NHL every game. Many questioned GM Doug Armstrong’s choice of Vlasic, especially with offensive stars like PK Subban, Kris Letang and Mark Giordano left off the team. This was the same 2 years ago when he made Team Canada in Sochi, people wondered why he made the team over guys like Brent Burns, Mark Giordano and Kris Letang? The result? He ended up being paired with Drew Doughty and a part of Canada’s most consistent D-pair at the Olympics. The fact is Vlasic isn’t flashy but he’s extremely reliable, and he not only deserves to be playing for Team Canada but needs more recognition for his talent. Keep an eye out for the steady play of #44 in the tournament. There has been a lot of criticism towards Team USA heading into the World Cup, in particular towards GM Dean Lombardi and Head Coach John Tortorella for some questionable roster omissions (Phil Kessel, Tyler Johnson, Kevin Shattenkirk and Justin Faulk to name a few). Team USA has been noted as more of a “gritty and rough” group mixed with a talented top 6 in Patrick Kane, Joe Pavelski, Blake Wheeler, Max Pacioretty, Zach Parise and Ryan Kesler. While many questioned some of the roster selections (Justin Abdelkader, Brandon Dubinsky and Matt Niskanen), it’s obvious that the team was chosen to suit Tortorella’s defense-first structure. One of the last players named to the roster was Kyle Palmieri, who replaced the injured Ryan Callahan for the tournament. 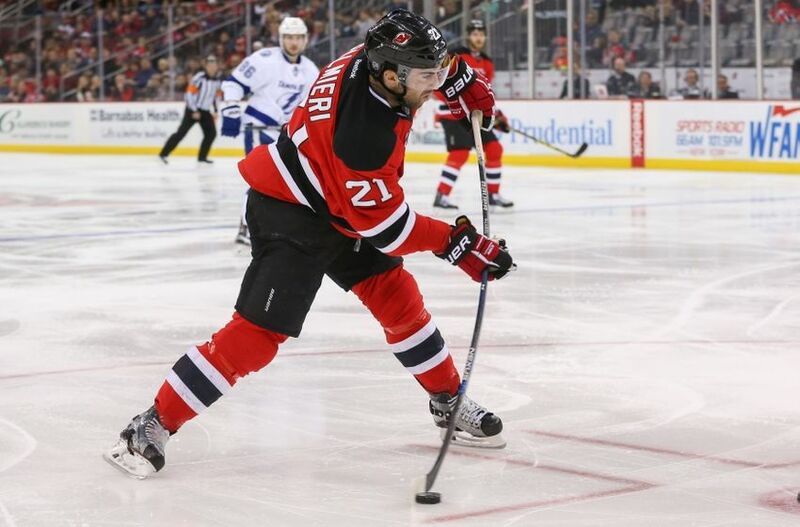 Palmieri isn’t as well known as the top guns mentioned above, but he’s coming off a career-year with the Devils where he had 30 goals and 57 points in 82 games. The 25-year old is an impart part of the Devils core going forward, and it remains to be seen what role he will have on Team USA. Look for him to have a strong offensive impact for the Americans in this tournament. Blues fans are hoping that this is finally the year that Vladimir Sobotka makes his way back to the NHL, the once fan-favourite has spent the last 2 years in the KHL after spending the previous 4 in St. Louis. NHL fans probably have forgotten about the 29-year old, remembering him as the energetic defensive forward who excelled on the penalty kill. He definitely wasn’t known for his scoring touch in his first stint in the NHL, Sobotka never topped 9 goals and 33 points in 7 years before leaving for Omsk. Things quickly changed for Sobotka in Russia, becoming one of Omsk’s go-to offensive players the past two seasons with 72 points in 97 games (including 18 goals in 44 games this past season). On a relatively young Czech team, Sobotka will be one of the veterans counted on to contribute offensively if they are going to be successful. This tournament will be a great measure for Sobotka to prove he can still compete with NHL talent, and the Blues are hoping a successful tournament in Toronto will lead to him staying in North America and rejoining the Blues. Team Europe seems to have a balanced mix of veteran and youth players, one that Coach Ralph Krueger is hoping will lead to success at the World Cup. 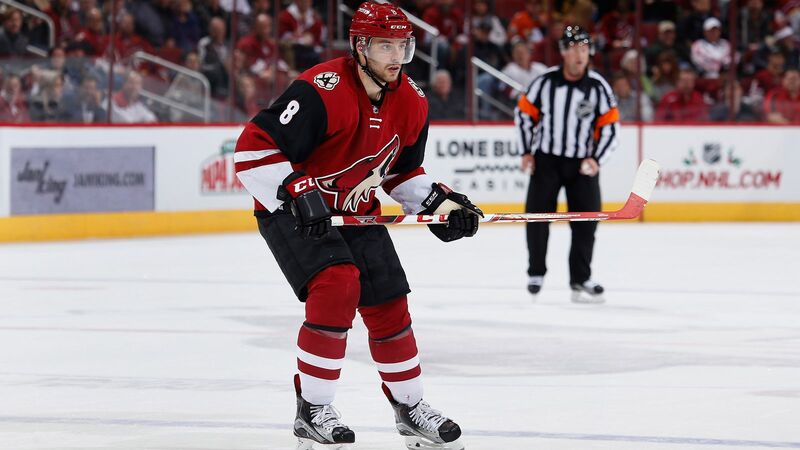 One of the lesser-known young guns on the team is 23-year old German forward Tobias Rieder, a winger who plays for the Arizona Coyotes in the NHL. Rieder had a successful 3-year junior career with the Kitchener Rangers (92 goals and 189 points in 177 games), and that lead to him being drafted 4th round 114th overall in the 2011 NHL draft. Rieder had 13 goals and 21 points in 72 games during his rookie year, but really took big strides this past season with 14 goals and 37 points in 82 games. The Coyotes have a ton of young prospects that are pushing for roster spots this year and Rieder looks to be an important part of the future for them. As one of the younger and faster players on the team, Rieder will be counted on to contribute offensively if Team Europe is going to compete. Completing the coverage on the dubbed “DPS” line (as I call them) of Dadonov-Panarin-Shipachev, there’s a lot to know about the least known player of the trio in 27-year old Evgeny Dadonov. Once a 3rd round (71st overall) pick of the Blues back in 2007, Dadonov struggled early in his NHL career and never seemed to find his game playing in North America (10 goals and 20 points in 55 NHL games). After spending most of his time up and down from the AHL, Dadonov departed from North America and back to Russia where he has spent the last 5 years in the KHL. His first 2 years were with Donbass HC, where he had 19 goals and 66 points in 106 games. He then signed with the star-studded St. Petersburg in 2014, and since put up 42 goals and 92 points in 112 games over 2 seasons (and another 9 in 6 games so far this season). Dadonov has great chemistry with teammate Vadim Shipachev and the two seem to take their game to the next level playing with Artemi Panarin. It is going to be interesting to watch how Dadonov fairs in his first major international tournament, but he has experience playing for Russia 5 times in the past (2 World Juniors, 3 World Championships) that could suit him well. If Russia decides to keep this line together for the World Cup, it could emerge as one of the best lines in the tournament. With so many elite prospects and future NHL stars on Team North America like Connor McDavid and Auston Matthews, there are a few players on the team that have been overlooked and lost in the hype. One of those players is Panthers forward Vincent Trocheck, the last player named to the team as he replaced the injured Sean Monahan. 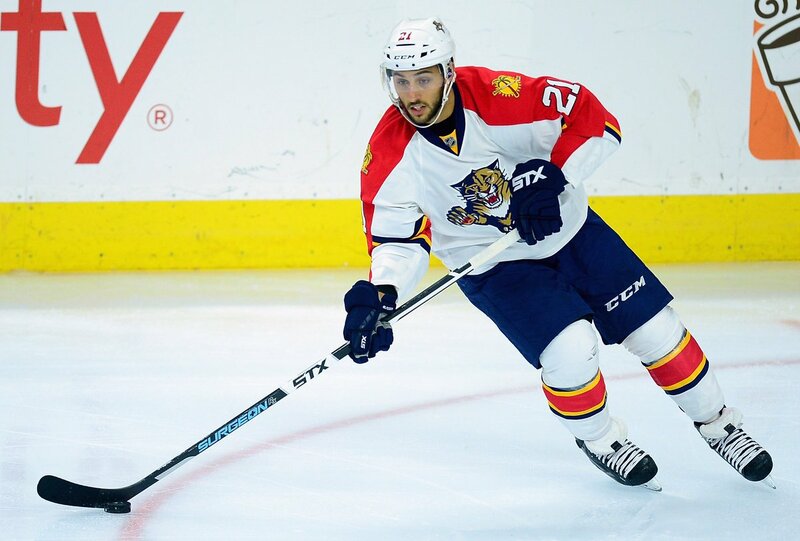 While Trocheck may be the most unknown player on the roster, the 23-year old has had a strong start to his career in Florida and is an important piece of their core moving forward. He was drafted in the 3rd round, 64th overall by the Panthers in 2011 and become a full-time forward for them last season, putting up 7 goals and 22 points in 50 games during his rookie year. However, it was this past season where he took a big step up tallying 25 goals and 53 points in 76 games. Trocheck has previous international success, helping Team USA win gold at the 2013 World Junior Championship (6 points in 7 games). It will be interesting to see how Todd McLellan uses Trocheck in this tournament, but he could make a big impact given the right opportunity. If you didn’t know these players before the tournament, you will after.